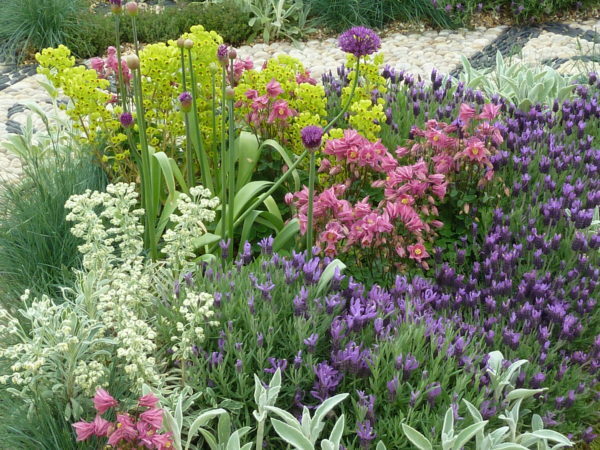 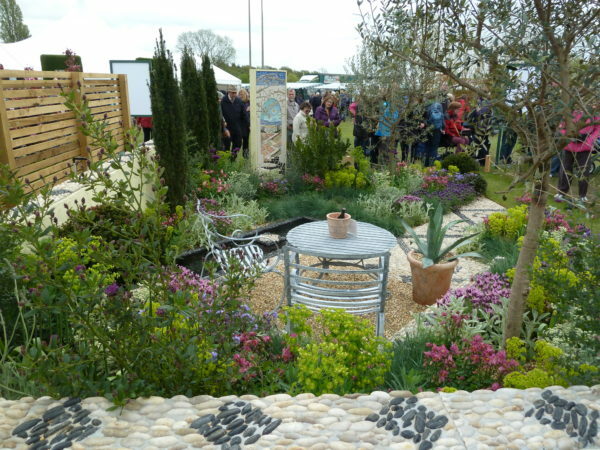 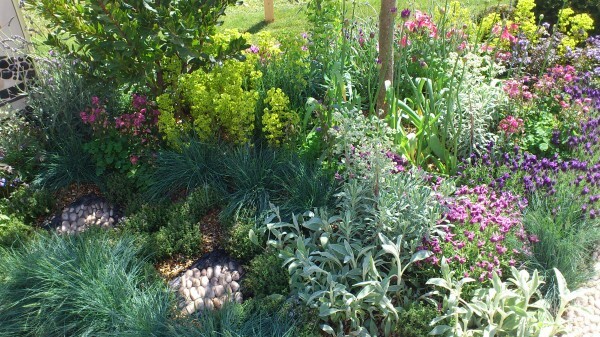 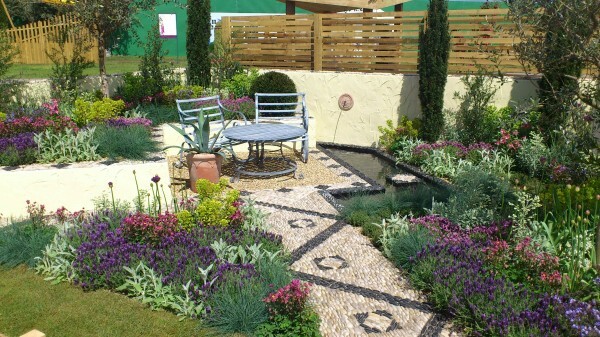 Pictures of the ‘Return to the Med’ show garden, from the Malvern Spring Show May 2013. 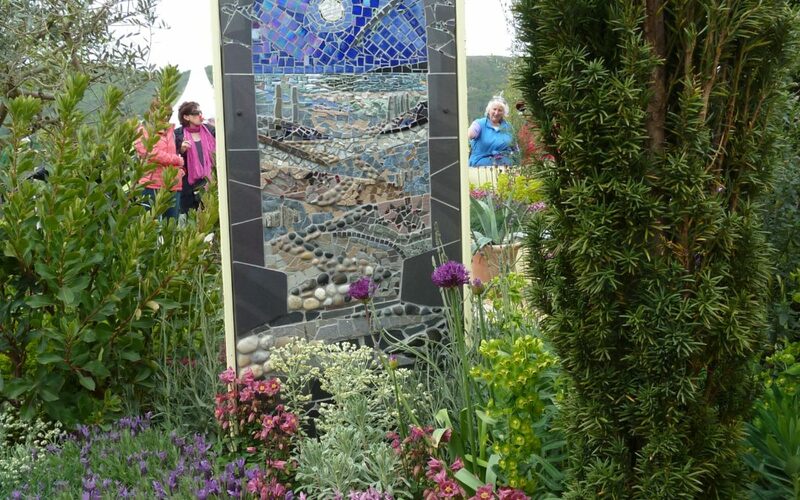 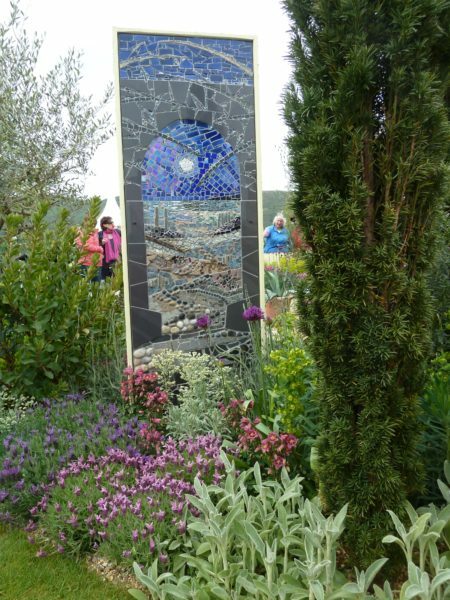 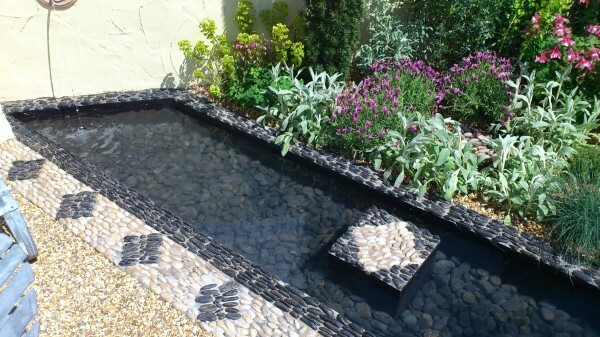 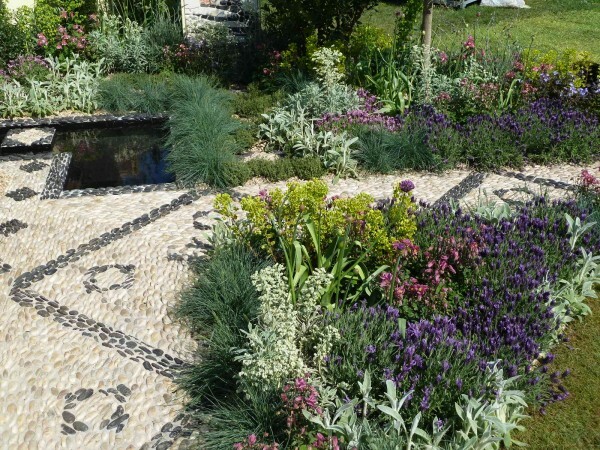 The mosaic was specially created for the garden by Robin James. 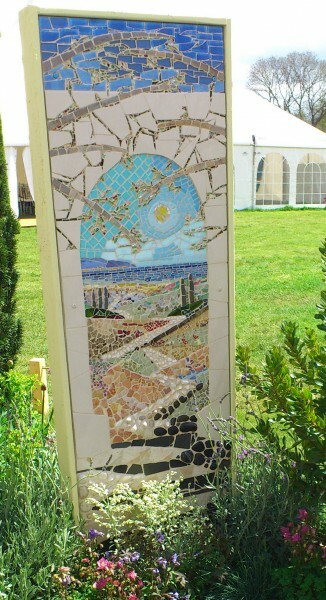 There are two panels, front and back, showing a Mediterranean scene, by day and by night.